The Gator G-Tour 12x17 ATA Utility Touring Flight Case comes equipped with diced removable polyethylene foam which can be customized to fit your equipment. The case has a plywood shell and Polyethylene exterior construction. It has recessed spring loaded latches and handles along with heavy-duty triple chrome plated hardware. 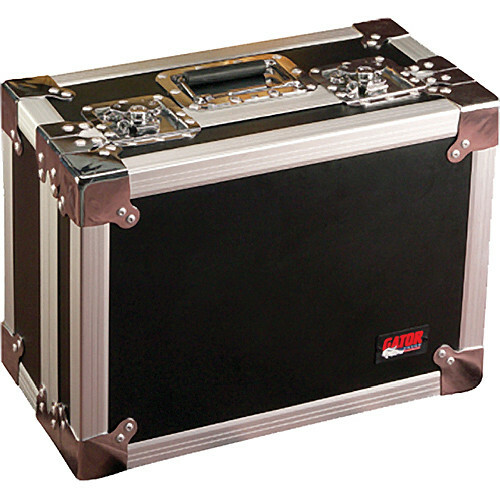 The G-Tour 12x17 case meets ATA specifications for transit flight cases. Solid Polyethylene exterior over plywood with died removable polyethylene foam. G-Tour 12x17 Touring Case is rated 4.0 out of 5 by 1. Rated 4 out of 5 by BinSanity from Good case Good cases. Very well-designed for traveling but the interior doesn't satisfy very much. It's more like layer foam than cubed foam which would be more easy to deal with. Overall 4 stars.